HPTA Honored with CFF Sustainer Award. Pictured, from left, is Jim Crane, Baton Rouge Cystic Fibrosis Board chairman, with HPTA representatives Rusty Jabour, former president; Sandra Harshbarger, president; Gary Mollere, immediate past president, Lisa Sanner, tournament director; and Joycelyn LeBlanc, round robin coordinator. 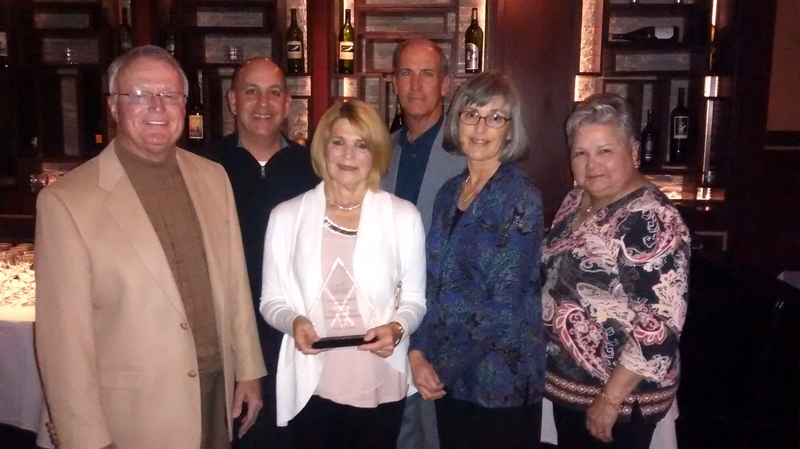 The Highland Park Tennis Association was presented with the 2015 Sustainer Spirit Award by the Cystic Fibrosis Foundation at its annual Volunteer Appreciation Dinner, held Feb. 12, 2015, at Sullivan’s Steakhouse. HPTA was recognized for its support through the Jim Crane State Farm Highland Open tennis tournament and related fundraising, which has totaled almost $130,000 for CFF since 2010.